Forever 21, the shoes from 5ht avenue and the ring from Primark. The other stuff is from the thriftstore! Oh wauw, heel erg mooi! 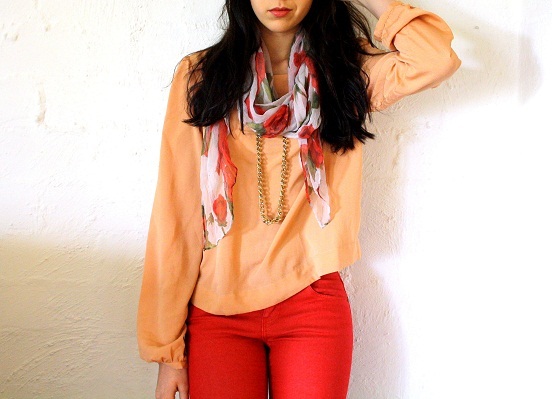 I love the red jeans! Everything about this outfit screams effortless chic. I'm loving EVERY piece.